Ryan Mosely's superlative MA showing a couple of years back promised great things. And although for a short while afterwards he seemed to slightly lose his way - possibly due to the intense buzz surrounding his work - he's currently producing better painting than ever. 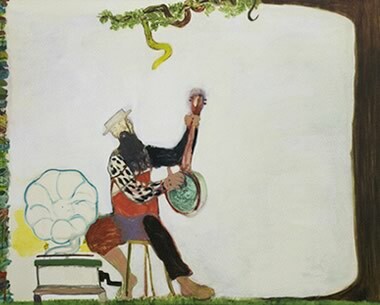 Mosely's work is often described as 'carnivalesque' - an apt enough term for his ludic combination of decorative, festive gesture with an undertow of intense energy and curious sexuality. 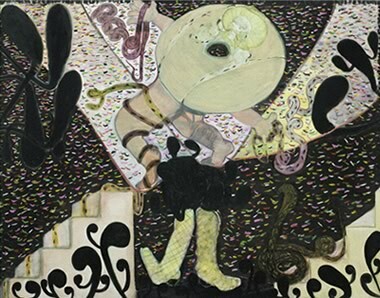 Indeed, Mosely's canvases are far more enigmatic and complex than they might at first seem - or he's often given credit for - and are discernibly becoming darker, tougher and more experimental. Already represented in various European galleries, it's only a matter of time before the US starts to show interest in this fine painter, too. 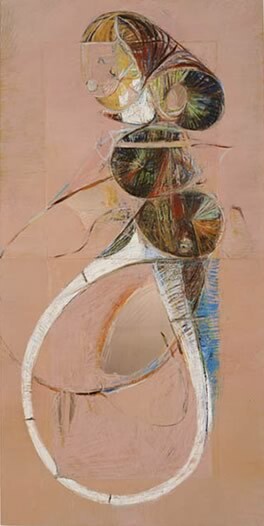 Nicholas Byrne's painting has undergone various transformations in recent years; his newest works, abstract renditions of organic forms on surfaces including marbled papers and metals, are among his finest. 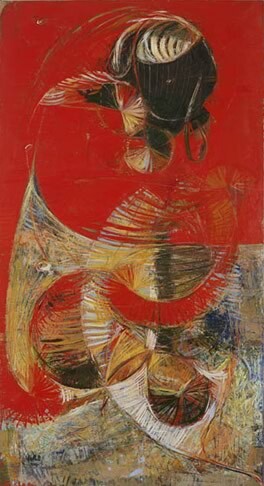 Like much recent British painting, the canvases are strongly reminiscent of various strands of post-war British abstraction: here, Byrne's networks of fine hatching against larger planes of flat colour allows the intricate motif to dominate, resembling works by Graham Sutherland, among others. Although perhaps a little too dependent on such fashionable antecedents, these works are beautifully of the moment.